Donald Trump had his own board game from the 80’s. The smallest denomination of money from the game was $10 million. The original board game came out in 1989 and was manufactured by Milton Bradley. Fifteen years later an updated version of the game was released. 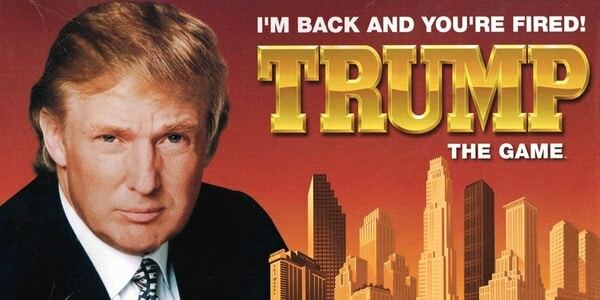 The new edition has the phrase “I’m back and you’re fired!” Reviews have stated that it’s similar to Monopoly but can be played in a much shorter time. If you’ve been fired you can play “The Donald” card to get back in the game. The object of the game, of course, is to make the most money. Some Trump fans may even be hoping for another updated version that includes a political theme.